I dusted off the old gear. 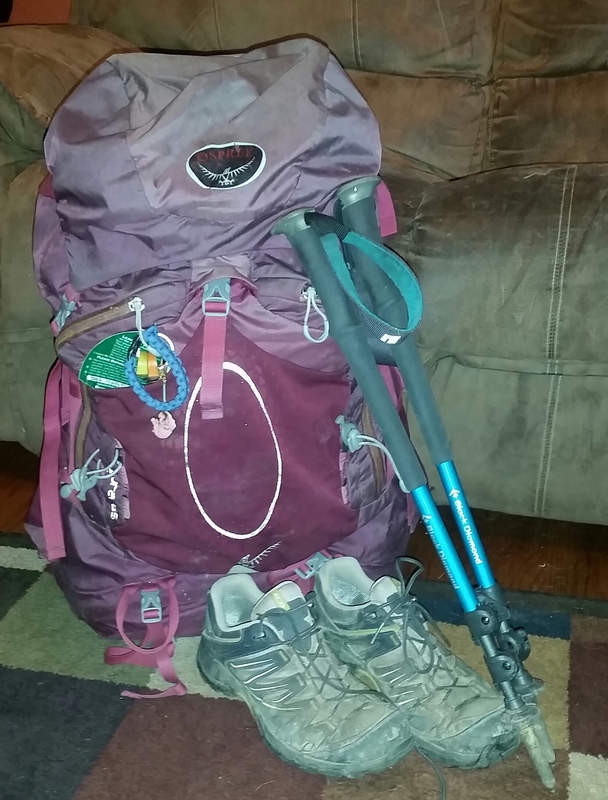 My Salomons and trekking poles were caked with mud from taking them up Mount Leconte. My Sawyer Mini was in desperate need of backflushing. I accidentally left my down sleeping bag compressed and it had to be fluffed. My micro spikes haven’t been anywhere but my garage for 3 years. I am officially ready for the magic of The Wonderland Trail. I hate mail drops, but I’m making them. Parts of the trail will be covered with snow, but I’ll navigate it. I forgot what it is like to pack my life into a backpack, but I did it! So, what’s in my pack? 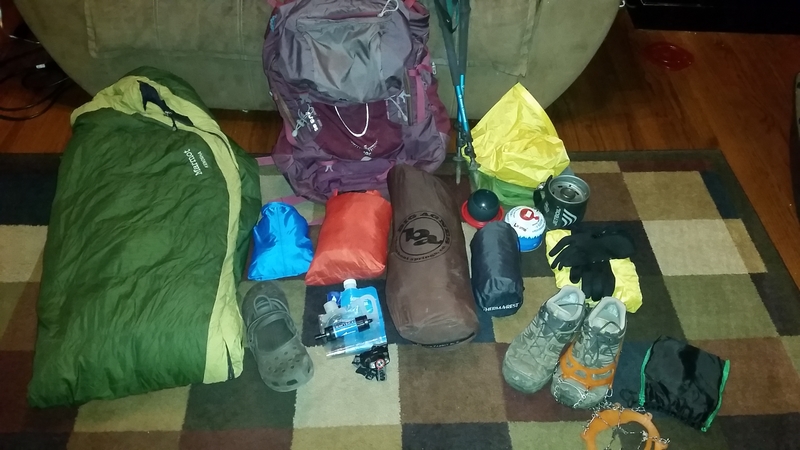 I really haven’t changed any gear since I stepped foot off of the Appalachian Trail. All of my gear was still comfortable and I was overall happy with it. My major gear is the exact same that wondered from Georgia to Maine. Some minor gear has been replaced. 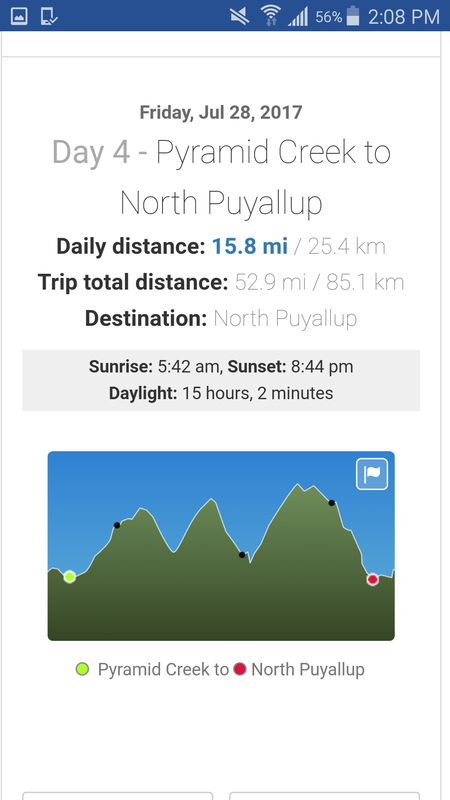 I will be trekking the 93 mile circumference of Mount Rainer July 25th-31st! Averaging between 10 to 17 miles a day seems like it would be a cake walk but add on snow, 1,000 to 3,000 more feet of elevation than an average mountain on the AT, and me not knowing a thing about the area. It will definitely be interesting to say the least. An average day on Wonderland for me! I am flying out of Alabama on July 22nd which will give me plenty of time for flight delays or sight seeing before the start of the trail. I really hope that extra time will be spent sight seeing. Once I land in Seattle, I will have a rental car waiting on me. Why would I need a rental car when it will just be sitting at a ranger station for 7 days? It’s easy; $300 for a rental car vs $500 for shuttle. 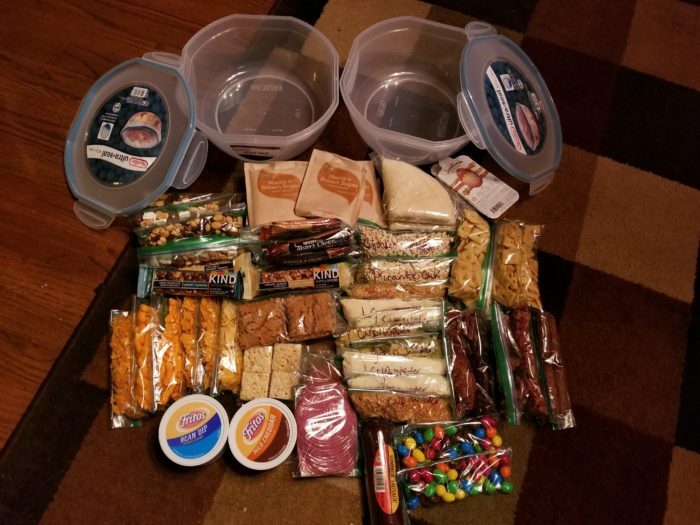 Plus, I can just put my pack in a suitcase for the plane and leave it in the car, have a vehicle at my disposal for sight seeing, and not have to worry about the time frame of relying on others to get me back and forth from the trail. There are two reasons why I prefer not to do maildrops. One, I hate revolving around post office hours. Two, I never know what my hiker hunger will be craving and have been left disappointed before. I am opting to do maildrops for this trek because it is slightly different. It’s only 7 days, so I can hold off on my cravings. I also get to mail my drops directly to the ranger stations and they cache them for me. The stations are open everyday and later than post offices, so timing won’t be as much of an issue. The hardest part has been predicting how quickly my appetite will escalate and if I have too little or too much food. If it’s too little I am lucky because some of the stations have food options near by. Why am I hiking this trail? To put it simple, the AT ruined my life. Not in a bad way, but in a way that I view the world and people differently. I had a pretty nasty case of post trail blues afterwards and even had to distance myself from hiking for a while. I wanted to hike, but I made excuses. It was too hot. It was raining. I got rejected for permits… etc… When did weather and not being able to find a different trail to hike ever stop me before? I had some pretty lame excuses. I am hiking The Wonderland Trail because I am finally ready for that unpredictable lifestyle and rush it gives you again. This is such a short trail compared to others, but it’s baby steps. I miss going to sleep not knowing whether or not I will be breaking my tent down in the pouring rain the next morning. I miss my heart pounding so hard while climbing a mountain that I can hear it in my head. I miss the peace and quiet away from cities. I miss natural lighting as opposed to fluorescent lighting which gives me a headache. I miss waking up to birds instead of alarm clocks. I miss not caring about how I look. I miss the thru-hiking culture and day hiking just is not cutting it anymore. I need more and I am ready for more. I will see you soon enough, Wonderland! Nice list. So many others lists are incomplete as to be useless. What was your total weight? When I did the AT in the 60’s weight was over 60 lbs. now,at 70 yrs young, I shoot for 35.